Martha Stewart is America's go-to source for the best answers to nearly every question. As an authority on the many worlds upon which she's built her domestic empire, she can advise on everything from pruning roses and setting the table to playing classic lawn games or building a campfire. 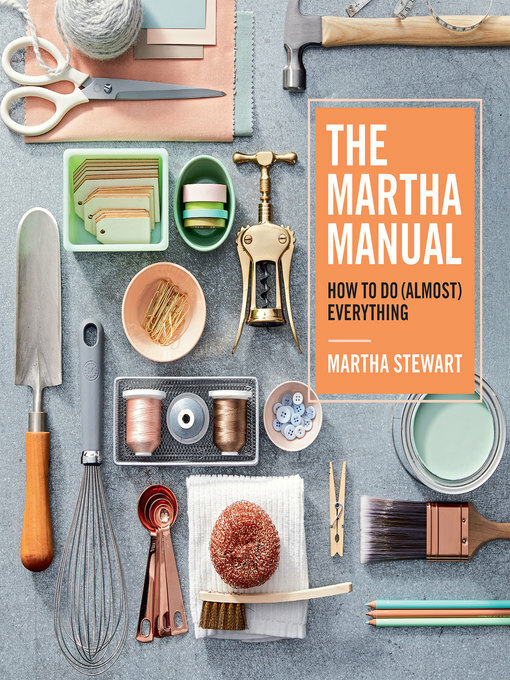 Whether it's organizing, celebrating, cleaning, decorating, or any number of other life skills, these are the time-tested, Martha-approved strategies for frequent challenges and basic how-to knowledge that everyone should have at the ready. Also included are plenty of solutions for the not-so-common conundrums, such as how to transport a decorated cake, bathe a cat, or fold an American flag. With hundreds of expert tips and useful insights in an easy-to-follow format, this is the manual you need to learn how to do everything—the Martha way.